Day two began not with a ferry, but a combo of the metro (subway) and the BTS (aka the sky train). 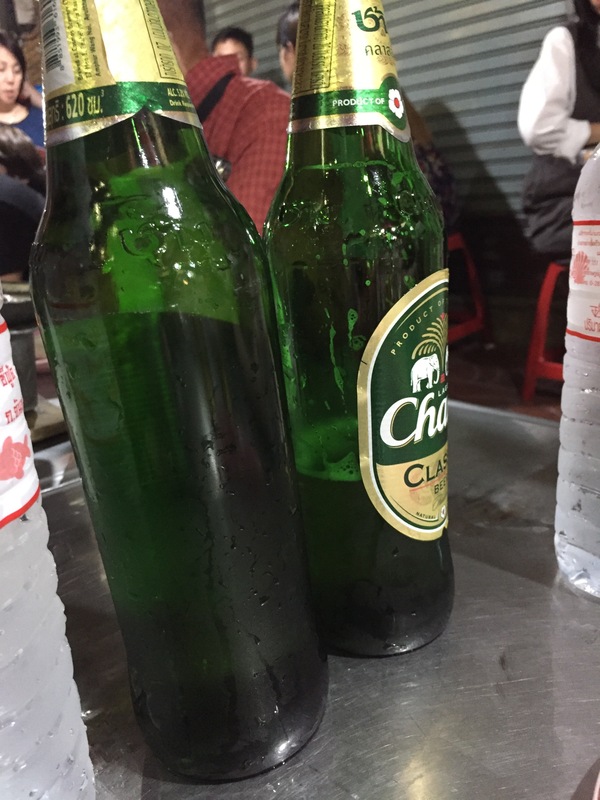 Both are inexpensive, very easy to navigate, clean and a very fast and convenient way to travel around Bangkok. 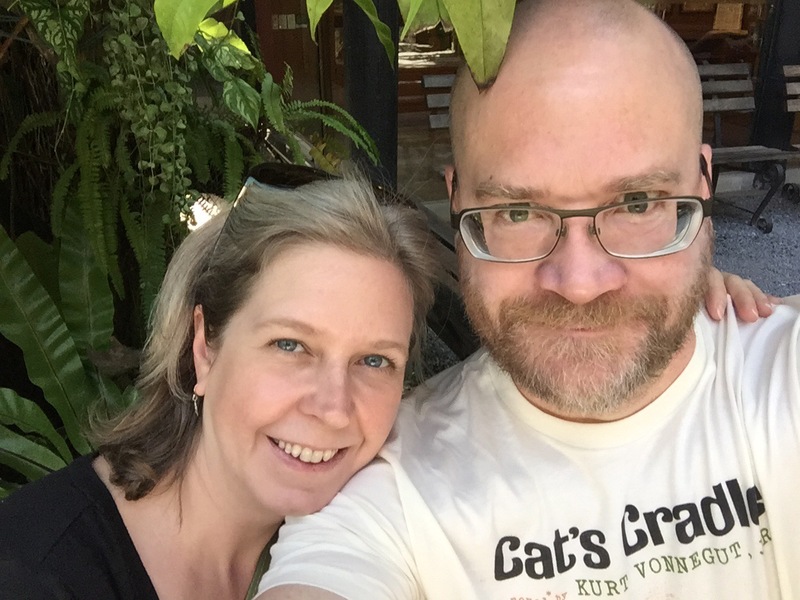 We exited the BTS at National Stadium, the closest stop to the Jim Thompson House. A former OSS agent during WWII and assigned to Thailand, Thompson fell in love with the country and moved there after leaving the service. He became interested in the beautiful Thai handwoven silk, and began exporting it to the west, and his business took off. He is really credited with creating the huge Thai silk industry as it exists today. 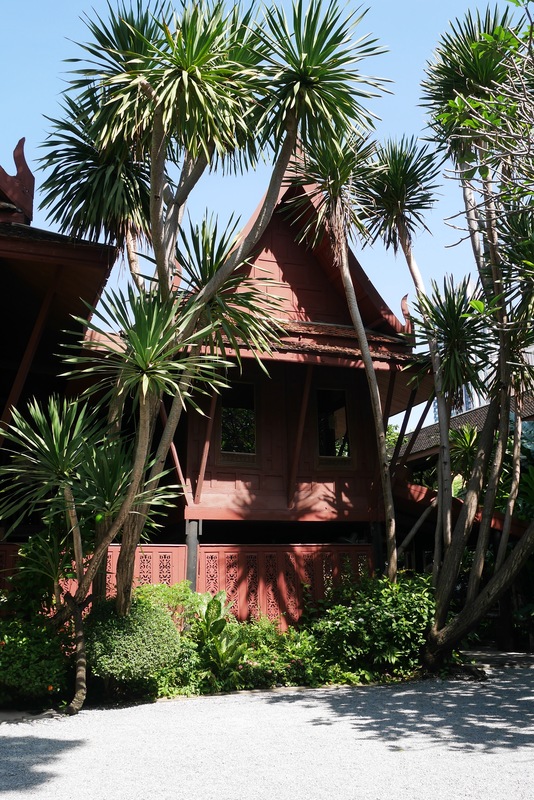 His house in Bangkok is now a museum; Thomson also collected Thai and other Southeast Asian antiques. 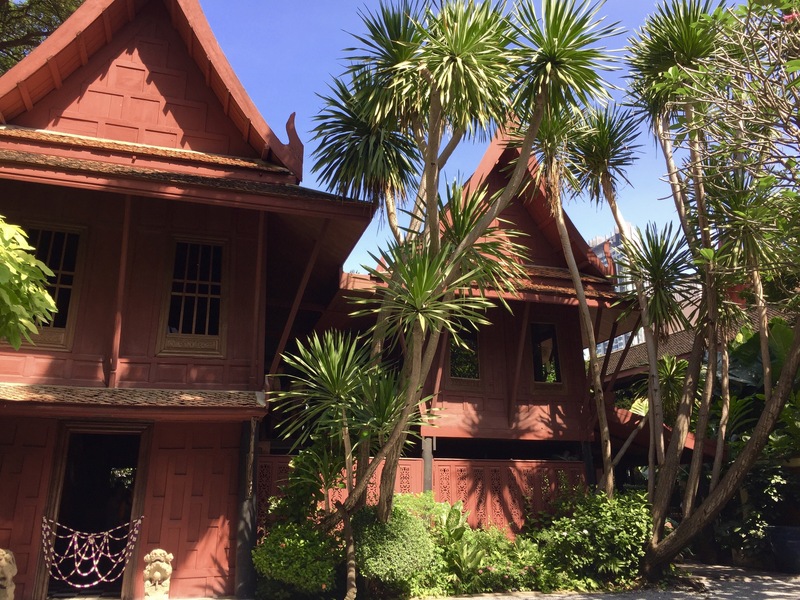 The house is magnificent, and we learned was constructed from six other houses he bought and had transported from Ayutthaya and other locations. They were joined together to appear to be one large house. The antiques and art inside were beautiful; unfortunately no photos were allowed inside at all. The grounds are also spectacular, with jungle-like foliage making you almost forget you’re in the middle of a bustling city. 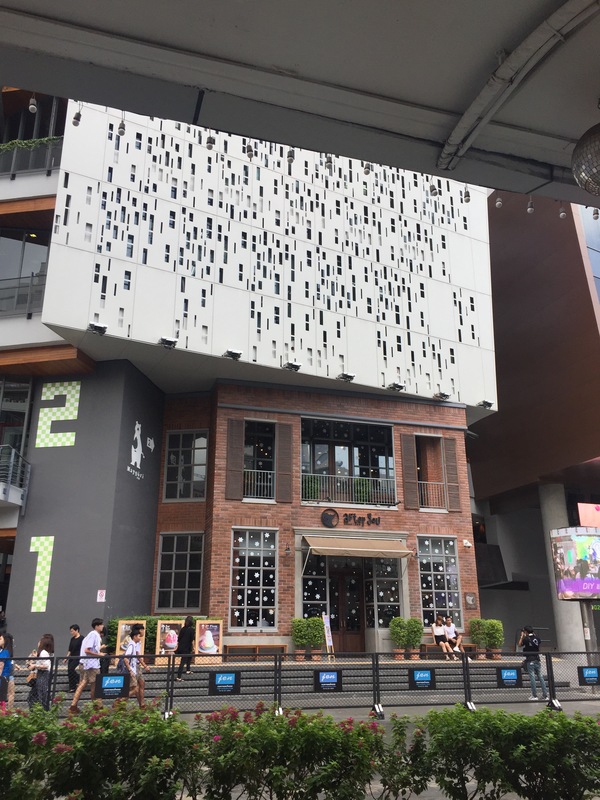 After lunch, we decided that since we were in the neighborhood, we should check out MBK–one of those giant shopping malls you’ve probably heard about. It was seven or eight floors of bedlam, with escalators in different locations on each floor making our planned trek to the “food island” on one of the top floors quite challenging. I don’t know how people deal with shopping here–though it did appear you could buy just about anything in the world in this city-within-a-city. 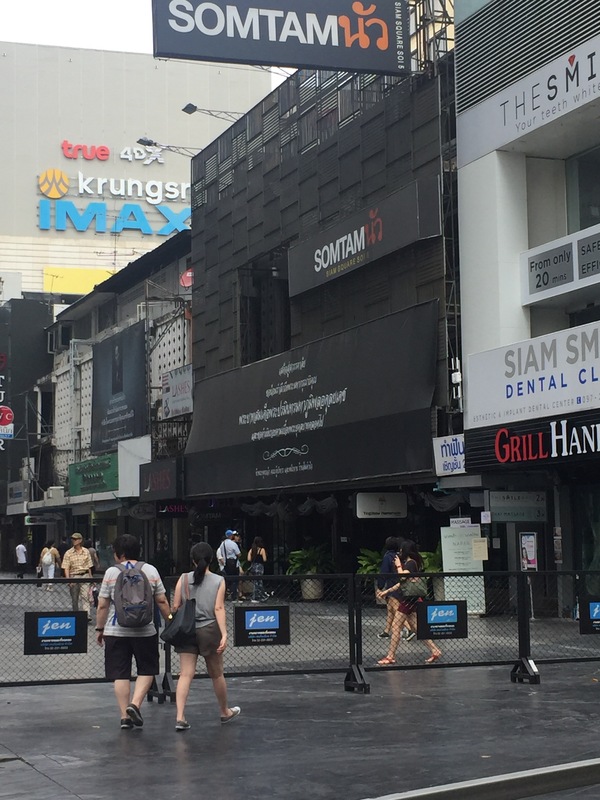 Not being fans of malls AT ALL, we did a quick tour, just to say we’d seen it, and headed back to the relative calm of the Bangkok streets. 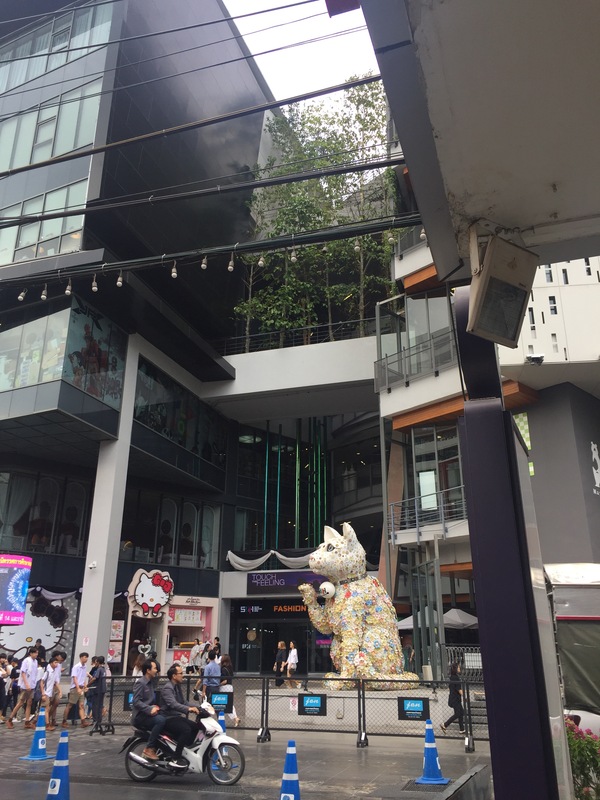 But we did want to check out a bit more of this neighborhood, and found a chic-looking side street with cafes, shops, businesspeople, students in school uniforms, friends out for a late lunch, all quite a modern city scene. 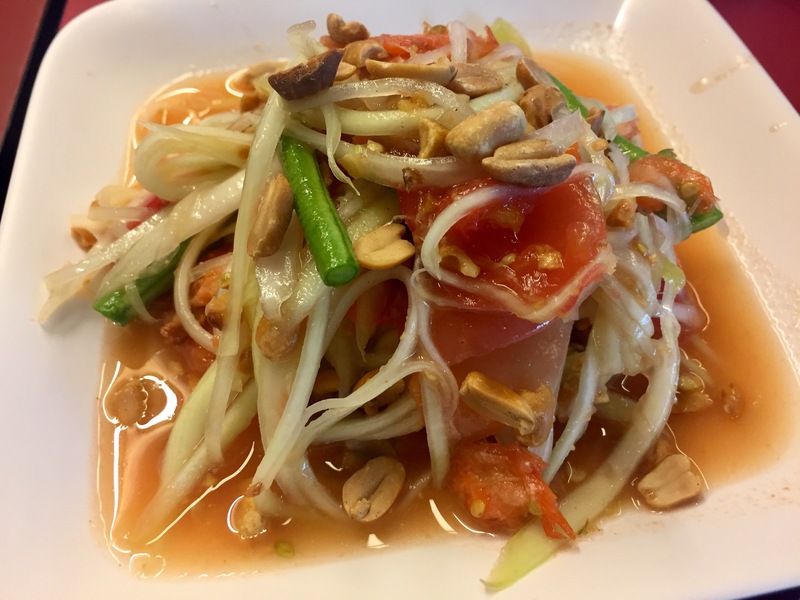 We did a quick check on our google map and found a place nearby that we had marked down as supposedly having one of the best somtam salads in Bangkok. 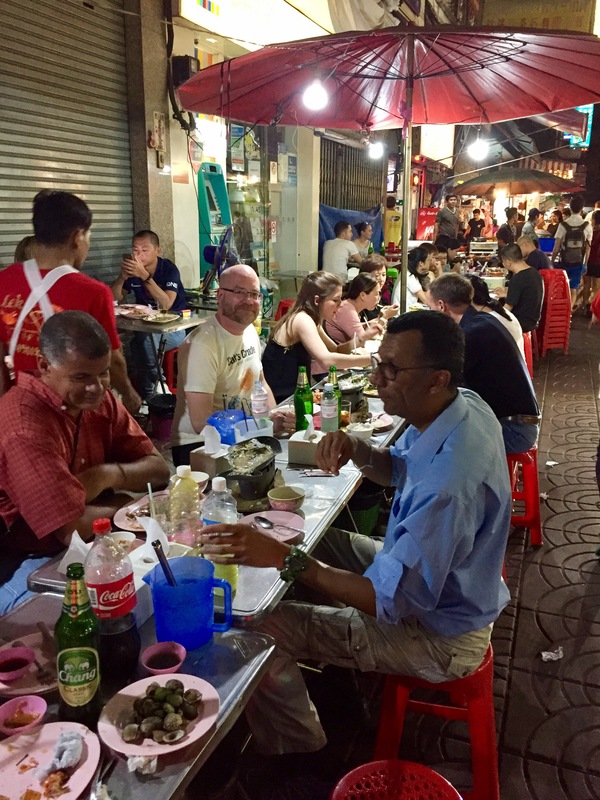 Som Tam Neua was a busy place, clearly, as the routine we learned was to place your order with the man who came outside to greet you, and then wait until a table was free. After ushering us in our food arrived within minutes. 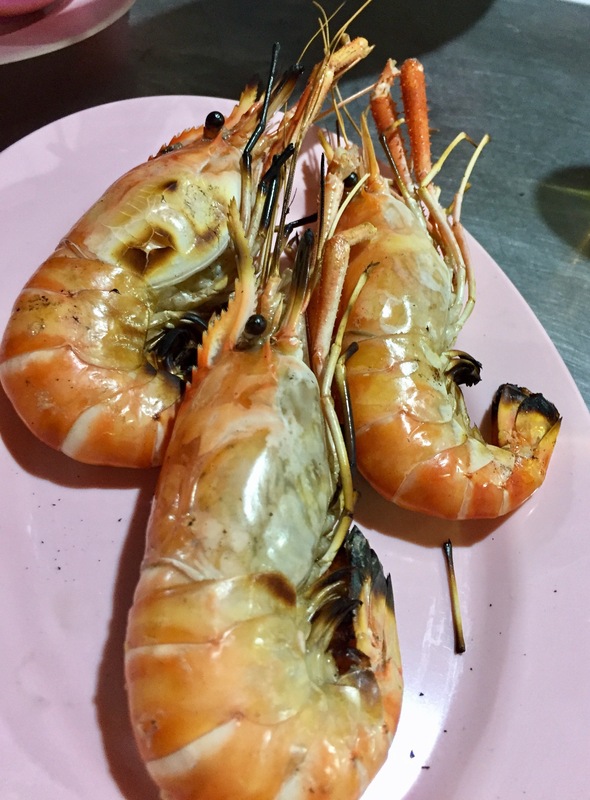 Was it the best somtam? A bit too sweet for my taste, though it was very good and did include the little crab claws. Definitely a popular and VERY busy restaurant though, so I suspect many people do consider it their favorite. 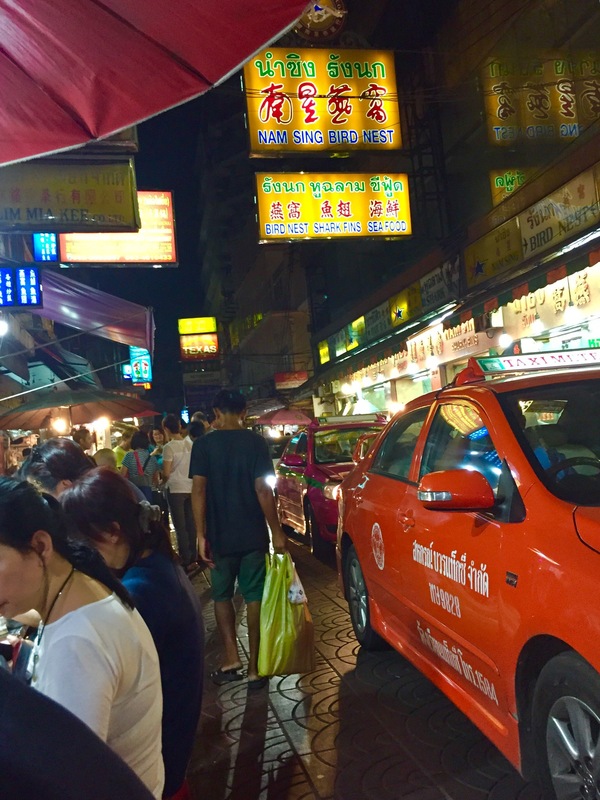 That night, we decided to try to grab a spot at one of the two seafood places about a block up Yaowarat from our hotel. 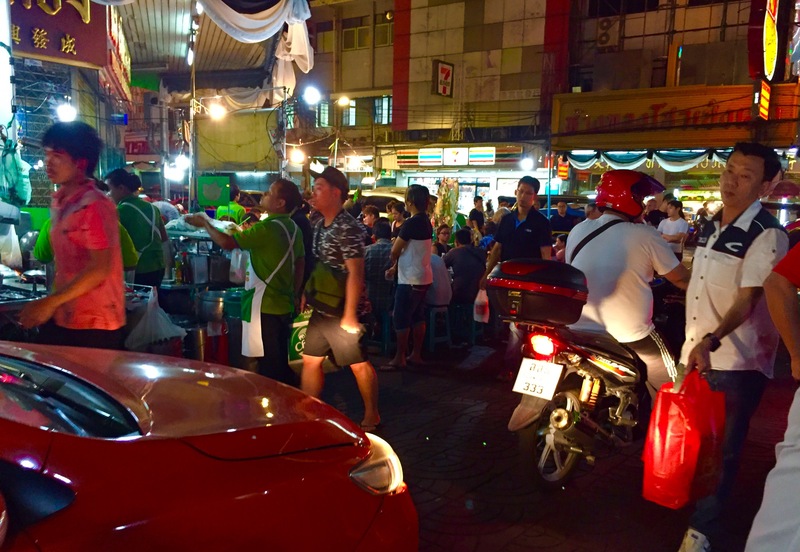 While both are technically restaurants, with an indoor kitchen, plumbing, etc., they feel very much like street food stalls as there are endless tables set up along the (very busy) road with squat plastic stools. Not for the faint of heart! You wait your turn until one of the servers who seems to be running frantically around but who really has everything under control tells you to sit and points at the stools for you. With the menu mostly in Thai, we got by with a lot of pointing, eventually ordering a platter of grilled prawns, a whole sea bass cooked in lemon and garlic, two bowls of rice and two Chang beers. Total cost, 760 THB, or about twenty bucks. 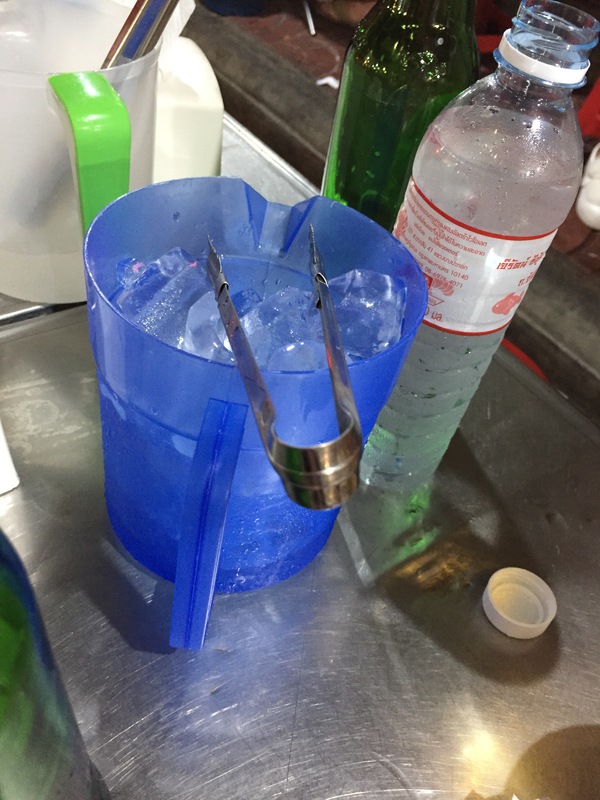 The food was delicious, the beer was cold…or cold enough, once we used the ice they thoughtfully brought to go with it. It was loud, frenetic, and fun. I’d go back again in a second. 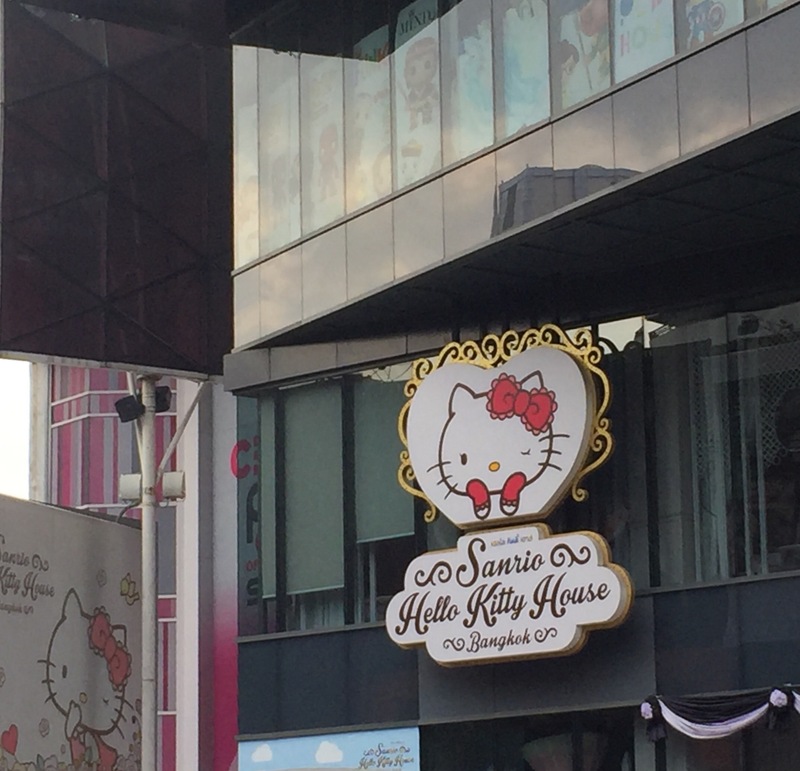 Did you miss our first day in Bangkok? Check it out here.